Dillon is the unlikely star of a show about power, politics and high-finance. They’re also the first nonbinary actor with a starring role on American TV. Showtime's hit series “Billions” is about money, power and politics. But amid the hedge-fund-sized egos and the ongoing feud between finance bros and government attorneys, there’s Taylor Mason. Taylor is a young, nonbinary (neither exclusively male nor female) math genius who makes even the best brokers on the show think twice. 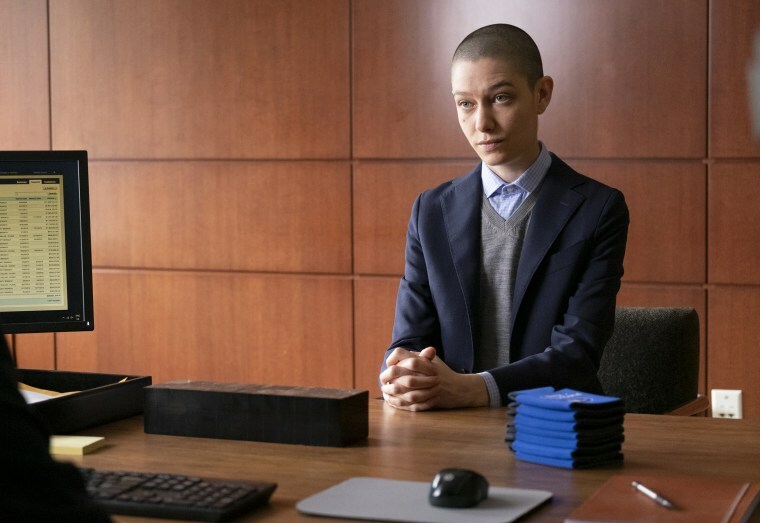 On "Billions," which returns with Season 4 this Sunday, Taylor is played by Asia Kate Dillon, a nonbinary actor whose identity is where the similarities stop between the character and the actor (both Dillon and their character use they/them pronouns). For Taylor’s cunning, there is Dillon’s empathy (Dillon literally has a neck tattoo that reads “empathy” in German.) As Taylor looks to build power and grow their new hedge fund in Season 4, they seek donations from Middle Eastern rulers and Russian oligarchs. Dillon, who is known to wear Black Lives Matter shirts on the red carpet, uses their platform to advocate for racial and economic justice. As Dillon explains it, when they started as a recurring character in Season 2, Taylor was ”sort of introduced as this moral and ethical center in a very unethical world.” A young, queer and nonbinary person entering the male-dominated hedge fund world, their character acted as an antidote to the hedge fund’s money-hungry male employees. But, as Dillon said, power and money “corrupt” and their character wasn’t immune. By Season 4, Dillon’s character is faced with a series of ethical challenges. But that’s part of what makes Taylor so intriguing. When Dillon became a series regular in Season 3, they were the first nonbinary actor in an American TV show to play a leading role. The LGBTQ community heralded the inclusion and representation, but also was excited to see a trans and nonbinary character with such dimension. “Nonbinary people are multi-dimensional human beings,” Dillon said, adding that often trans and nonbinary representation can feel flat. What makes Dillon’s character interesting, too, is that for many viewers, Taylor is the first time they've seen a nonbinary character on TV — and sometimes the first they've heard of nonbinary people at all. “I’ve had people from all over the world saying, ‘I’m nonbinary, and I never thought I’d be able to see people who look like me on television, and there you are, and I feel less alone,'” Dillon said. Parents have told Dillon their child came out as nonbinary, and they only knew what it meant because they watched "Billions." People have even told Dillon that their character has made them more accepting of queer and trans people. Despite the great things representation brings, Dillon is quick to acknowledge that they alone can’t represent all nonbinary people. On the show, Taylor’s identity is rarely an issue with their co-workers. The main character, the billionaire hedge fund king Bobby Axelrod, is quick to correct people who misgender Taylor. Even the ruthless Russian oligarch uses they/them pronouns for Taylor. Dillon knows for many nonbinary people, this isn’t their daily lived experience and thinks Taylor’s identity as a white, assigned-female-at-birth nonbinary person makes the character “more accessible." “If Taylor had been assigned male at birth, a person of color, and wore dresses to the office, I think that character in a world like ‘Billions’ would have been more jarring to people,” they explained. Dillon knows a show about billionaires and white-collar crime isn’t exactly where one might expect them to play a starring role, but for them it’s all part of the fun — and the point of the show. “One of the things art can do and should be doing is helping us understand the world in which we live,” Dillon said.